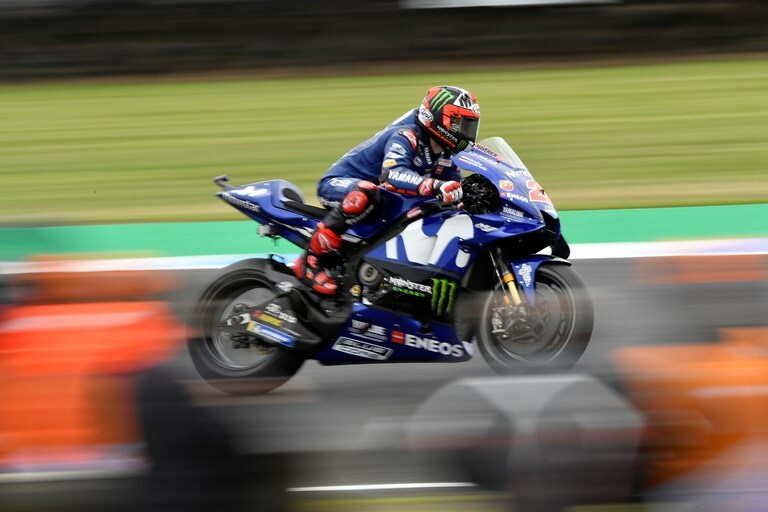 The Movistar Yamaha MotoGP Team had to wait a while for action to get underway at the Phillip Island Grand Prix Circuit, as the Friday riding schedule was delayed due to an oil spillage in Moto3’s FP1. However, Maverick Viñales’ first efforts at the Michelin Australian Motorcycle Grand Prix were worth the wait. He showed good form in both free practice sessions and secured third place in the combined times. Valentino Rossi needed a bit more time to warm to the breezy and somewhat chilly track, taking tenth position in both sessions. Viñales showed his competitive pace right from the start of the rescheduled first session. The track conditions were tricky, catching out various riders, but the Spaniard remained undaunted. He rode several fastest laps on his YZR-M1 and kept hold of the top spot for the remainder of the session after setting a 1’29.952s on lap 11, to end FP1 in first place, with a 0.037s advantage over his closest rival. The Spaniard booked further improvements in the FP2 session whilst perfecting the balance of his bike. With weather conditions uncertain for tomorrow’s FP3, he decided to play it safe, like most MotoGP riders, and switched to a soft-soft tyre combination for his last two runs. He concluded the day in third place with a personal best lap of 1’29.354s, 0.223s from today’s fastest time. Rossi got straight to business in FP1. He was fully committed to his goal to decrease the 9-point gap to second place in the championship standings. He worked on preparing a base setting for Sunday’s race and finished the first free practice in tenth place with a 1’30.828s best lap, 0.876s from his teammate. He resumed his work in FP2, continuing to adjust the bike’s set-up. The track conditions remained treacherous, but with the temperatures rising and the times dropping, the Doctor saved his best for the last stint. He bettered his FP1 time by nearly 0.7s when he clocked multiple low 1’30s laps during his final stint. He completed FP2 and the first day in tenth place with a 1’30.133s, 1.002s from the front. Monster Yamaha Tech3 rider Johann Zarco displayed an impressive pace from the word go today at the Phillip Island circuit. Following the eighth fastest time in FP1, he improved by impressive 0.972 seconds in the second session of the weekend in order to finish Friday just 0.555 seconds off the top of the overall classification. Meanwhile,Hafizh Syahrin quickly discovered a new passion at Australian venue and was up to speed equally fast this morning. The Malaysian rookie lowered his lap time by 0.777 seconds in the second Free Practice to miss out on a provisional direct Q2 entry by just 0.046 seconds in finishing 11th of the highly competitive MotoGP field.